Upload a logo, add a favicon, and make yourself known to all of your visitors. Rock solid code makes this theme perform as flawless as it looks. 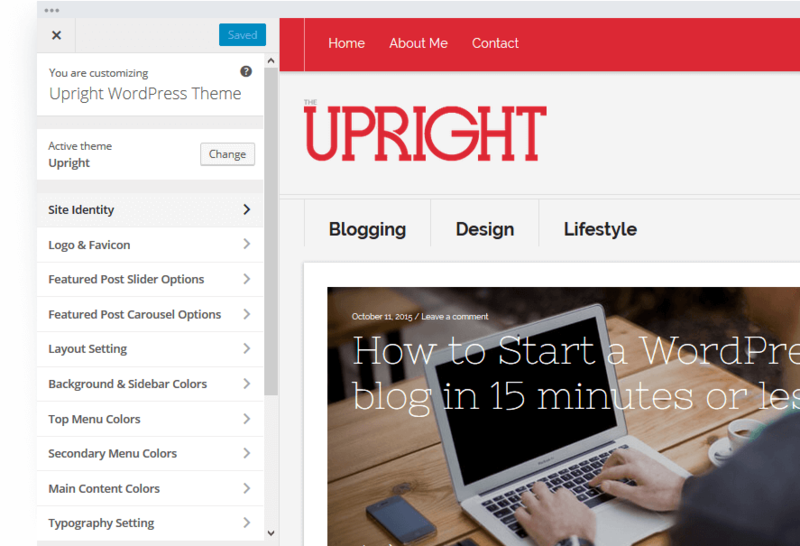 Customize your theme in real-time using WordPress’ Theme Customizer. Endless customization options include featured sliders, a sidebar color picker, and a custom background image. Get your posts and pages found by search engines and increase traffic with inbuilt SEO optimization. Serve up a mobile friendly site to all of your visitors regardless of device. Compatible with all the latest browsers including Chrome, Safari, Firefox, and more. Included .po and .mo files let you translate your theme into any language you desire. Become a global presence instantly. Your theme will always run smooth. 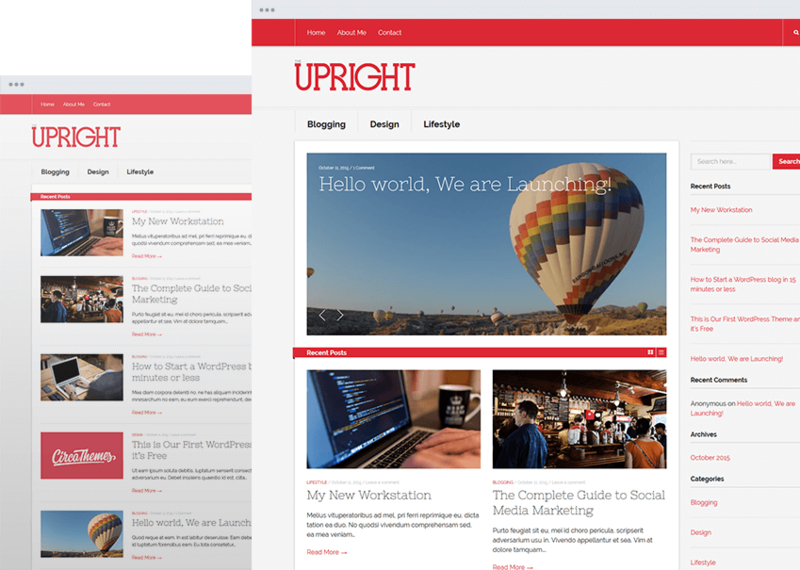 Upright is always up to date with the latest version of WordPress ensuring site compatibility. An easy to customize theme with a visual appeal and attention grabbing content for your readers to immerse themselves in. Choose from dozens of stylish fonts highlighting your content. Mix and match your color scheme to meet the design needs of your brand. Grab your readers’ attention with eye-popping imagery.